There have been plenty of Avengers: Endgame toys floating around the Internet for the past couple of months, and some have started to show up in retail stores at various cities around the country. A lot of these collectibles have revealed various spoilers, some confirmed and others not. 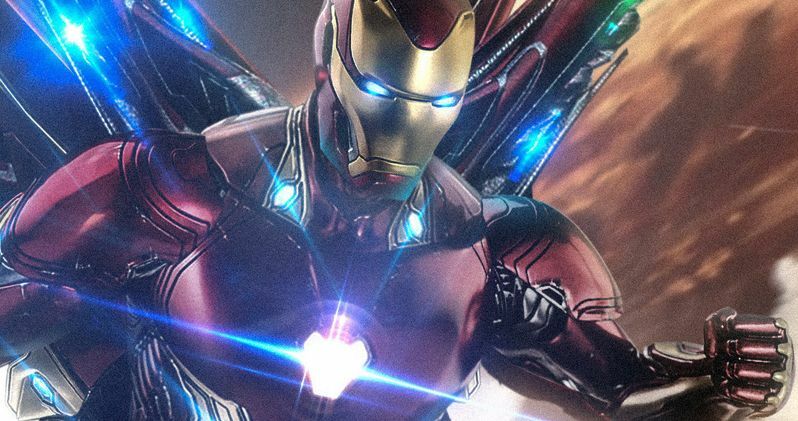 Now, we get a look at some more new action figures, and the Iron Man toy is hinting at a pretty big secret. Is this Iron Man's new weapon? The toy is real, but recently, the Russo Bros. came out and said that a lot of this merch is full of misdirects and don't necessarily represent what is truly in the movie. We only have to look at the Hulkbuster figure from last year, which showed Bruce Banner's mean green alter ego appearing during the Wakanda Battle, to know this is true. That scene never happened. So we'll have to stare in awe at Tony Stark's new arm canon, and wonder if we'll really get to see it in action. Avengers: Endgame is mostly a big secret for the time being, with major reveals being saved for the theatrical premiere. The trailers and TV spot are only showing footage from the first 20 minutes. So there is a whole lot fans won't see until after they've purchased their ticket. Because of this, fans hungry for more information are pouring over all the merch that has slowly been leaking out. We know from these various toys and action figures that the surviving members will wear new white armor into battle, which is being called Advance Tech team uniforms, or Quantum Realm armor. The new suits are reminiscent of the ones Hank Pym created in Ant-Man and the Wasp. As the rumor stands, fans believe the story will revolve around the surviving Avengers entering the Quantum Realm, and utilizing time travel to defeat Thanos, reversing the Decimation. Marvel is intent on keeping all of its mysteries close to the vest. Because of this, no new Avengers: Endgame merch was even revealed at the recent Toy Fair in New York. But that isn't keeping these toy images from leaking. The latest big reveal shows the Iron Man Titan figure. And he has a very powerful weapon attached to his left arm. Along with this action figure, we also get a look at the Hasbro Marvel Legends 2-pack which features Black Widow and Ronin (aka Hawkeye) in their new suits from the movie. It also comes with several interchangeable heads that include Iron Man, Ant-Man and Nebula. There has long been a rumor that Tony Stark is going to wield a powerful new weapon in his fight against Thanos in the movie. Some have speculated that this could be the Proton Cannon from Capcom's 1995 arcade game Marvel Super Heroes, which would get some fans quite excited. An object that resembled the Proton Cannon was spotted in the background of the Avengers compound in Infinity War. And it later showed up in an Endgame set photo. Some fans believed this new canon belonged to War Machine. Now, this new toy suggests that it's Stark's latest weapon. The packaging here shows Stark wielding the weapon with his left arm, which he's favored since sustaining injuries in past movies. You can check out the toys in the Marvel Braa Instagram. According to the packaging, Iron Man has a plan and he's going to attack. The Iron Man photo is the second in the photo gal.